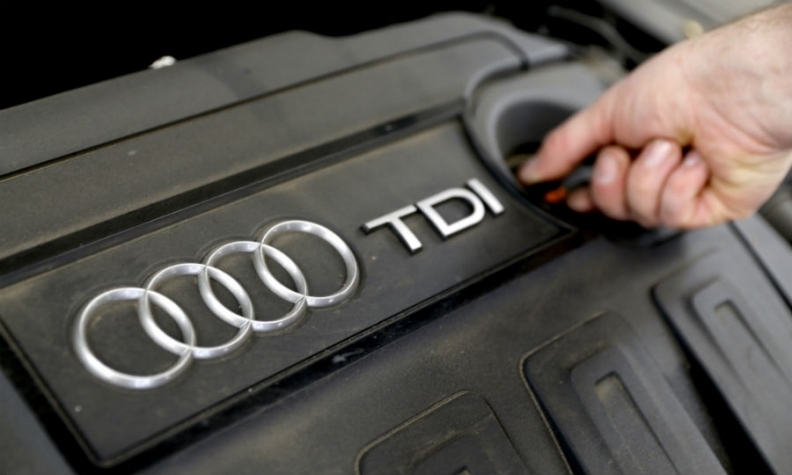 FRANKFURT -- Prosecutors in Munich said a criminal probe into diesel manipulation at Audi has now reached the management board level. The investigation is targeting unknown individuals, a spokeswoman for the Munich prosecutor's office said on Friday. "The investigation is at the level of current and former Audi board members," the spokeswoman said. The authorities are seeking to establish whether any managers had violated their supervisory duties, she said. Whether or not supervisory duties have been breached remains unclear, the spokeswoman said. A breach of supervisory duties could result in a penalty of up to 1 million euros ($1.2 million). Audi confirmed it had been notified about the probe by prosecutors. The company said it is working constructively with the authorities. Audi is grappling with car recalls, prosecutor investigations and persistent criticism from unions and managers over its part in parent Volkswagen Group's emissions scandal and its performance following the scandal. German investigators raided Audi offices in connection with the scandal in March. Media reports have said Audi is preparing to replace four board members of its management board. Volkswagen is already facing the same type of review by prosecutors in Brunswick in its home state of Lower Saxony, who are investigating whether the Wolfsburg-based carmaker committed fraud by installing computer software that only turned on a vehicle’s pollution blocking equipment during emissions testing. VW admitted in September 2015 that about 11 million diesel vehicles worldwide were sold with so-called defeat devices. While Germany doesn’t allow for prosecution of companies under criminal laws, an administrative probe is the tool prosecutors can use to sanction firms. The rules allow the seizure of profits made from illegal conduct. Siemens, which faced the same type of review during an corruption probe about a decade ago, settled with Munich prosecutors for 600 million euros ($706 million).